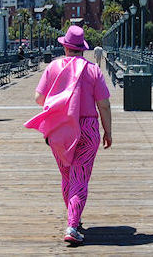 A Wabbit Walking: Rock the pink from head to toe? Lose the hair dye! Rock the pink you have! You go girl!